Little dinosaur fans will love to create endless role-play adventures as they visit the LEGO DUPLO Jurassic World 10879 Gentle Giants Petting Zoo with this fun toddler toy. Help young children develop fine motor skills as they build and rebuild the baby dinosaur enclosure and help Gray Mitchell use his camera to snap pictures of the baby Triceratops as he stands on the swinging bridge, or the Diplodocus as he eats the vegetation. But don't get too close-baby dinosaurs can still bite! 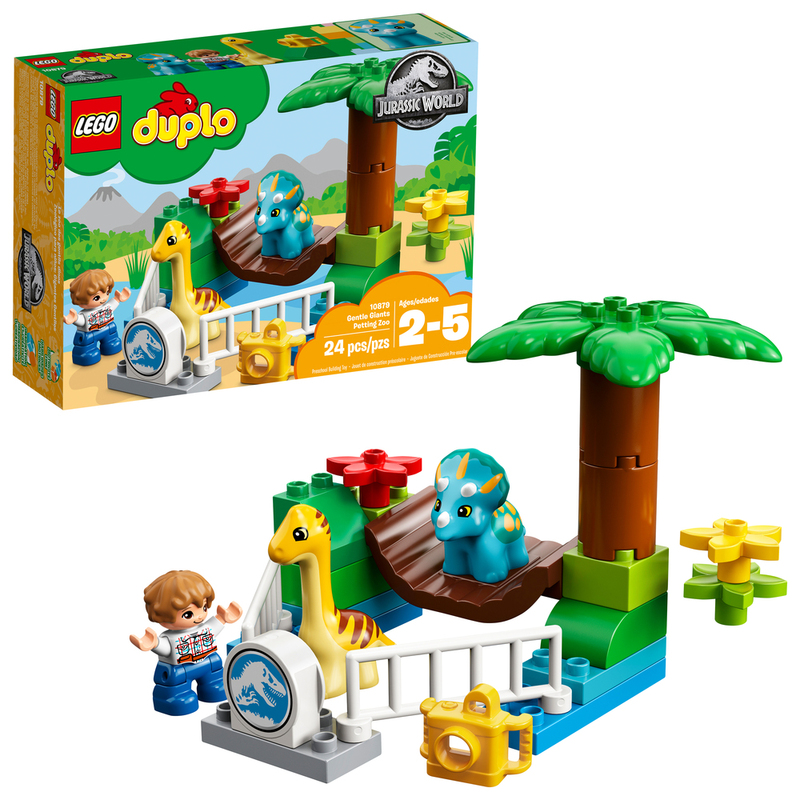 Includes a LEGO DUPLO Gray Mitchell figure plus 2 baby dinosaur figures.